But is it enough for the asking price? 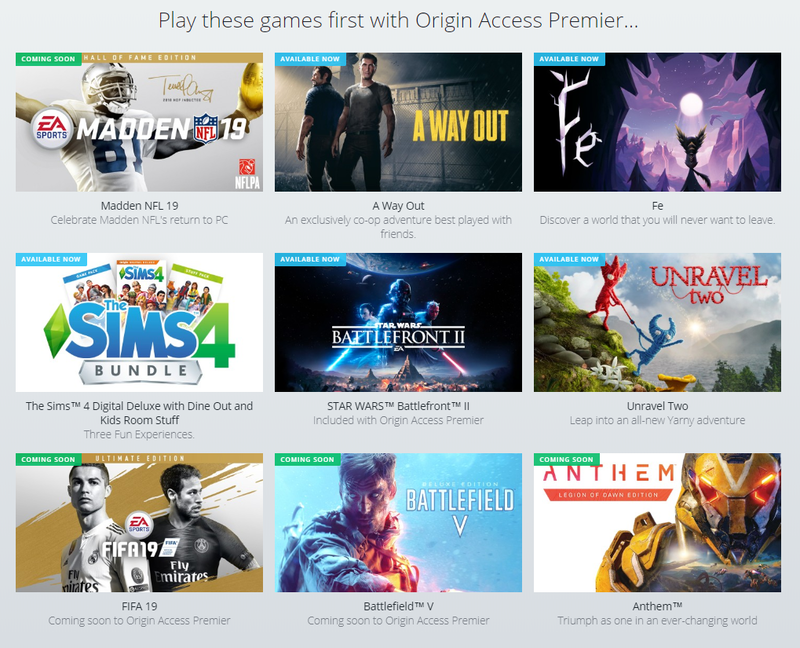 Out with the old and in with the new, is exactly what is saying with the introduction of Origin Access Premier. This new subscription service that was announced during E3 2018, takes what is good with Origin Access and gives you even more. For $14.99 a month\ $99.99 a year, gamers will be able to get access to full games instead of 10-hour trials. In addition to that, this also includes access to the deluxe and ultimates releases of EA games. That means all the special editions and all of the included content. As well as everything that Origin Access Basic includes. Sounds like a good deal, right? Well, that depends on how many EA games you play or will be playing in the future. For the sports fans, this (should) be an easy decision. For everyone else, that’s a pretty expensive pill to swallow. If you already have Origin Premier and are thinking about moving over, that’s an addition $10 a month. As an incentive, EA’s throwing in deluxe editions of Star Wars Battle Front II, Sims 4, as well as A Way Out and Fe. My thoughts? It’s a tad too expensive for me right now. But with Anthem coming, Battlefield V, Madden 19 and Fifa 19 coming, and this giving me early access to the full games. Perhaps my opinion of this will change. But for right now, I’ll pass. Now, if it was between $10.99 – $12.99, I could see jumping on this.